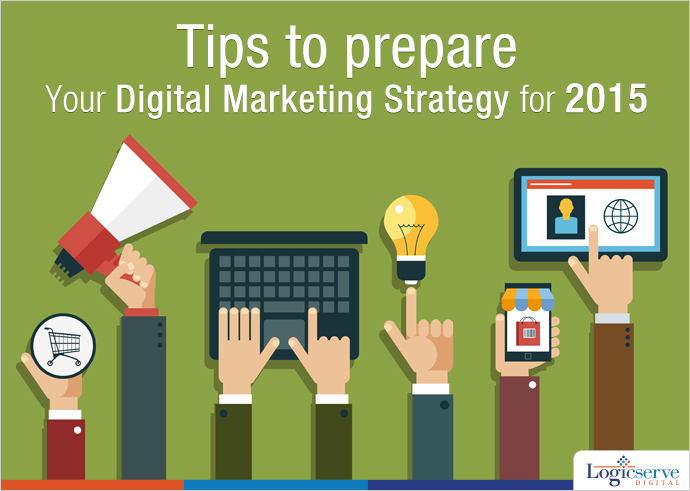 How To Prepare Your Digital Marketing Strategy For 2015? Are you looking to hone your digital marketing skills to be used in 2015? Here are some of the key tips that you must not miss. Before you begin the strategies to be implemented in 2015, it is extremely important to ensure that you set down the right goal for your business. You need to set some well defined and clear deliverables and goals which your business aims at accomplishing. When you have a clear insight regarding the things you wish to achieve, making the right digital strategy is going to be a whole lot easier. When you are setting the goals, following are the points you need to keep in mind. Check out the new products and/or services you wish to target. Analyze the supply and demand curve for the existing products that you have. Compare your 2014 marketing report and analyze the best and worst practices. Look at the goal sheet of 2014 and find out the goals you clinched and the ones you failed. Come up with a rough sketch of the possible marketing methods you should use. These are the key points you should keep in mind when you are framing goals for the upcoming year. As we all know how important the content truly is, you have to be sure that you are investing the right amount of time for the sake of your content. You need to put in ample efforts for the sake of drafting impeccable content that is not only accurate but also offers you an extra edge over your competitors. Try and research the market, gauge your audience and then make your content more friendly, creative and factual simultaneously. This is going to help you have the right kind of engaging content that shall make your digital marketing strategies successful. You have to choose platforms like Instagram, Yahoo, Bing, Facebook, Twitter and so on. All these platforms reap golden rewards when it comes to marketing and you have absolutely no other option but to work on these platforms. Try and popularize your profiles and gain as much visibility as you possibly can. You can use both paid and free advertising methods, but do whatever you can for the sake of maximizing the total reach which you can attain. As per research and statistical analysis, it has been found that YouTube is going to grow massively in popularity in the year to come. This is why you should work upon the kind of views you can achieve. Make sure to have ample YouTube videos and try and leverage the amount of audience you gain from your YouTube channel. These are the top strategies which is sure to help you popularize your digital marketing campaign. You should periodically review the success you have managed to achieve and mold your strategy from time to time.